Women often experience changes in sexual desire. 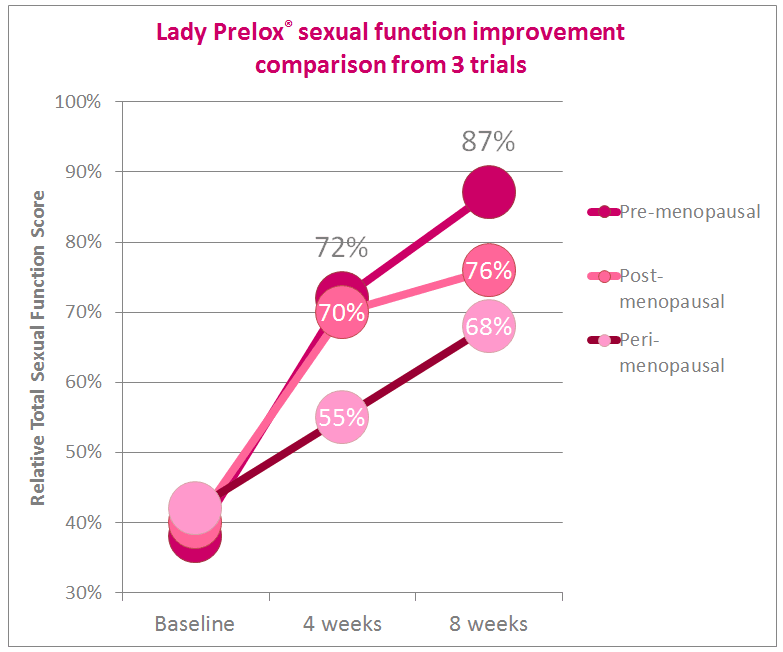 While women of all ages can be affected by sexual challenges, many experience a change in sexual desire, pleasure and comfort during or after the menopause. Lady Prelox® is a dietary supplement. Its patented formula is the result of years of scientific research to synergistically promote sexual comfort and pleasure. Sexual concerns continue to be a complex problem that affects thousands of women, yet we continue to see it as a taboo subject. For many, these challenges occur during and after the menopause. There is a definite need for natural and proven solutions, and it is refreshing to see a new product become available with such high levels of clinical evidence to support its claims.